Aviation of Japan 日本の航空史: More Colour Blues! An interesting aspect arising from yesterday's blog about Sentai Hombu Blues is how blue colours are categorised and described. 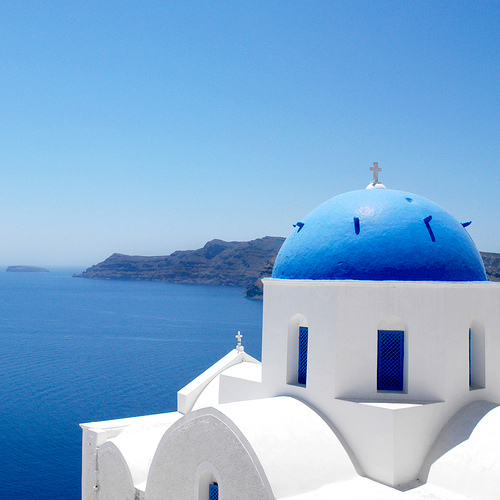 The term cobalt blue was used to describe the Japanese colour but some perceive this term to mean a much darker blue, more akin to royal blue or even indigo. Generally cobalt blue is described as a cool, slightly desaturated blue and one online reference gives a RGB value of 61 89 171. My perception of the colour has its roots in art and colour studies in the last century (!) 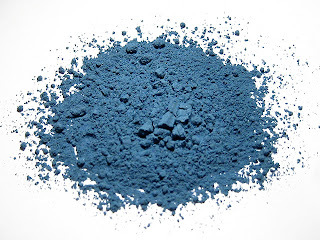 when it was perceived to be more like the "low end" Japanese colour, epitomised by Methuen's 22 B 7 (which is specifically described as cobalt blue), almost a kind of deep sky blue. However, if one searches in English under "cobalt blue" the Internet often throws up images of darker, deeper, more intense blues. closer to the current interpretation of royal blue and more like the Japanese concept of very bright blue (ruri shoku 瑠璃色 a lapus lazuli or azure blue). 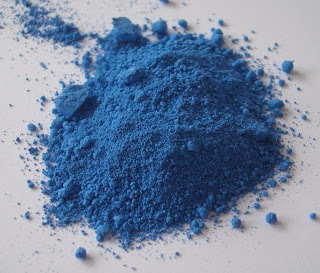 Searching under the Japanese terms for cobalt blue (kobarutoburu - コバルトブルー) and sky blue (Sora iro 空色) throws up images which demonstrate the crossover between these two colours in the Japanese perception of them. The "low end" value for # 34 could be described as a "deep sky blue" (0 154 205), so hopefully a correlation begins to be seen and the description of this colour range as sky blue makes more sense. Cobalt blue is not the only colour the Age of the Internet has changed the perception of. Conventionally and traditionally royal blue used to be perceived (and described) as a deep to strong blue, often with a purple or faint reddish tinge, typically around sRGB 0 35 102. 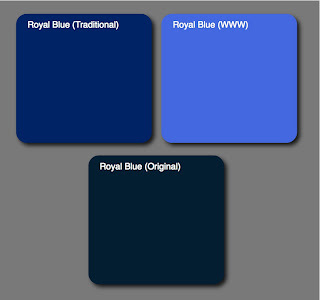 Not as dark as navy blue and with more chroma (or intensity of blue), but not far from it. However, the World Wide Web Consortium decided that royal blue as a "web colour" should be a much lighter and brighter blue, typically to sRGB 65 105 225, which apart from its brightness moves towards cobalt blue and Japanese sky blue. Traditionally Royal Blue (or The Royal Blue) was the name given to the colour of a cloth produced by the Scutts Bridge Mill in Rode, Somerset in response to a request from George III. The new colour was selected for the state robes of Charlotte of Mecklenburg-Strelitz, Queen Consort of the United Kingdom as the wife of King George III. 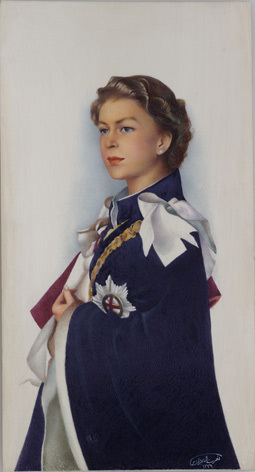 It is a very deep and strong, slightly purplish blue and may be seen in this image in the robe of Her Majesty Queen Elizabeth II. The colour is very similar to the low end value for JAAF # 13. Many depictions of Japanese aircraft in paintings, profiles and even on decal sheets show a much deeper blue than the official sky blue but my confidence in the medium blue, slightly greyish appearance of this colour is linked to Thorpe's identification of A23 Medium Blue as a markings colour, the absence of any other paint standards except the very much deeper blue of A13 or Thorpe's A22 Deep Blue and a knowledge of the pigment blues available to and used by the Japanese. The slightly greyish hue of Azurite is typical of the command and chutai blues. Decals depicting this colour often shift too much torwards a turquoise or green cast as they attempt to create a true medium blue and the slightly greyish aspect is lost, or err towards a bright royal blue. 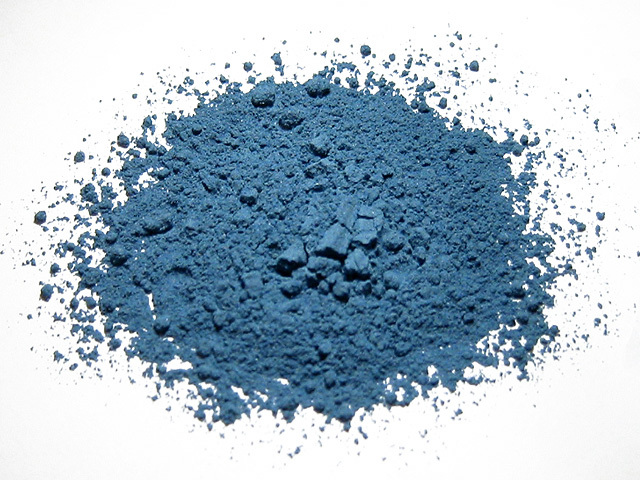 An example of the less saturated, medium blue can be seen here on the spinner of a Ki-61. Compare it to the low end # 34 and Thorpe's A23 to get a feel for the character of this colour range. As mentioned in the earlier blog post the deeper blues might have been used in response to a requirement to paint a generic "blue" but I doubt that they were typical for markings, not least because of the visual aspects of recognising their hue at any distance. Traditional cobalt blue is quite a difficult colour to mix. Many moons ago Microscale had a decal sheet offering the well known markings of the Ki-44 'Shoki' of the 85th Sentai commander Maj Togo Saito. The blue printed on the decals was just right but the model needed a blue spinner of the same colour and it was a difficult match, close but ultimately unsuccessful. In Humbrol paints the old Authentics "German Light Blue" for WWI aircraft was a good approximation of the typical colour for # 34 Sky Blue, and is now available as 109 Matt WWI Blue in slightly altered format. In those days it was quite common practice to re-paint decals to match the paint colour used on the model - I always found this easier to do after the decals had been applied for some reason. The poor opacity, particularly of white, meant that the borders of fuselage and tail stripes were frequently over-painted with the 00 or 000 brush. Oh for the steady hand and sharp eye of those days! 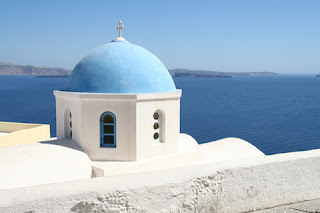 This experience has pointed out to me the danger when using colour terms like cobalt blue and sky blue of assuming that everyone else will visualise the same hue! This is another post that sheds so much light on a topic. The simple fact that when studying colors of another culture, we must use their ideas of a shade, rather than another culture's idea seems so simple, yet is overlooked. 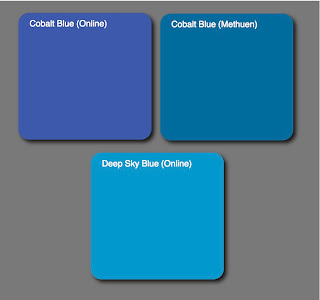 For what it is worth, my personal idea of 'cobalt blue" is very similar to what you posted as the online idea, and my idea is even more intense and "purple" if that makes sense. 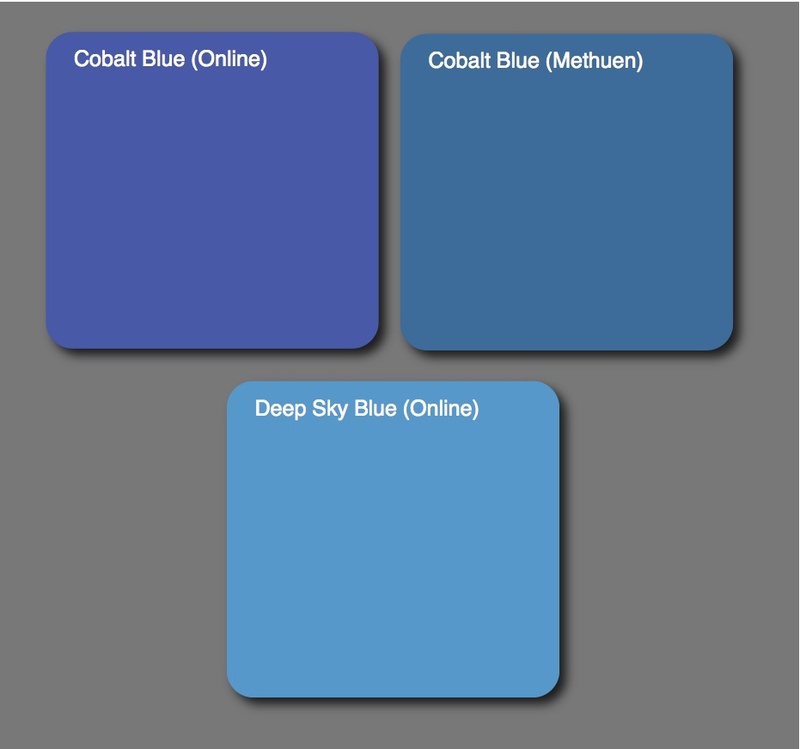 From an aircraft modeling perspective, I have decals in my collection, both aftermarket and from kits, that run the gamut from the very deep intense blues, to the much lighter "sky blue" shades. Thanks Dan. One other aspect that might have added to this confusion is that the JAAF colours table in Gakken 52 depicts # 13 as a lighter, "royal blue" and does not include # 34 at all. Thanks for taking time to make these postings about the official IJA blue colors. Your clarifications are very welcome.